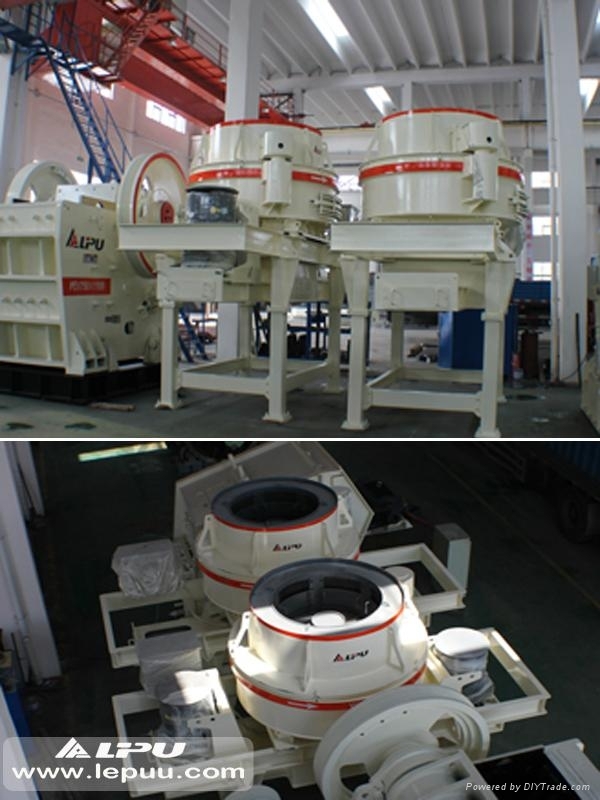 VC series of impact crusher (the sand making machine) adopts advanced "stone strike stone" / "stone strike iron broken principle, will make impact crushing and extrusion together, is an ideal level 3 or 4 crusher, which has been widely used in the production of reshaping of fine grained level stone and artificial sand manufacturing. 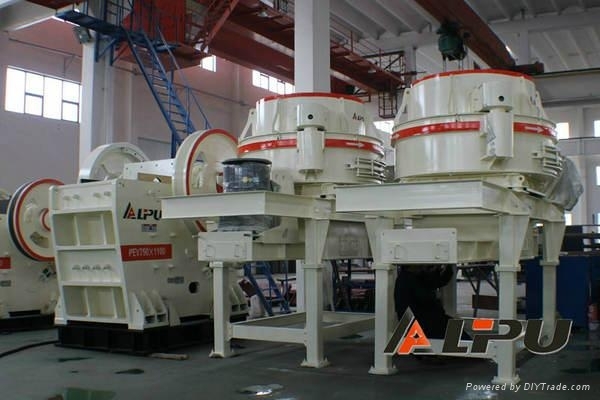 When metallic and non-metallic mining it is used to replace traditional extrusion crusher in finely operation; In the cement production it is used for grinding process. It can reduce energy consumption vastly and be used in recycling industry of glass. 7.Attach importance to environment protection.